Unfortunately, McDonald's fries aren't made to order, like say, In-N-Out's, so there's always a chance your fries will be soggy and useless. However, when fresh, McDonald's fries are bomb AF. If you want your fries freshly made to order, there is something you can do to guarantee that luxury — ask for them without salt. 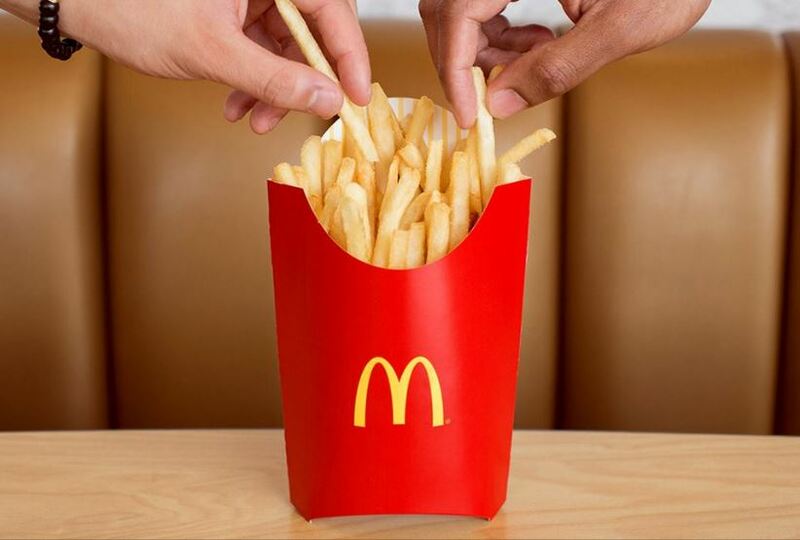 When you ask for them without salt, McDonald's has to make a new batch of fries just for you. According to Bro Bible, you can probably just ask for them fresh, too. Veteranos of the fast food world know to employ this method of "addition by subtraction" with burgers as well. Like, you can ask for your burger without pickles, or onions, and they'll hook you up with a fresh burger. Same if you ask them to withhold a condiment — if they're honest, they'll make you a fresh burger and won't just scrape off the ketchup or mayo. I know what you're thinking, "I knew that," but if we could help at least one person get fresh food at the Golden Arches, we've done our job.